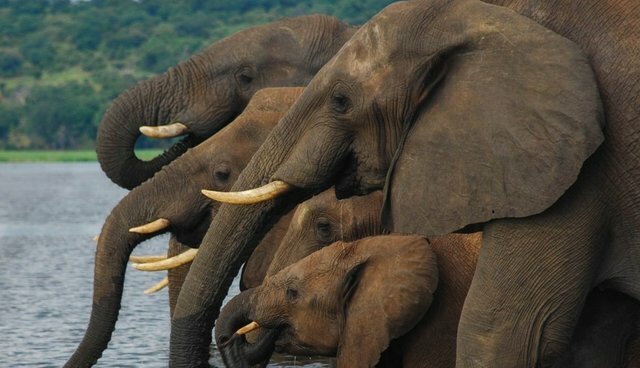 Elephant poaching is so rampant in Tanzania that the species could be wiped out in the country within seven years, according to data presented at a UN-backed conference on Friday. "Approximately 30 elephants a day are killed ... at this rate the population will be exterminated by 2020," the Tanzanian Elephant Protection Society (TEPS), an independent conservation group, said. The country's elephant population has plummeted in recent years, due to a surge of poachers that feed the market for ivory. In 2006, there were 70,000, but last year there were only 13,000 elephants. Tanzania used to host one of the largest elephant populations in the world. Tanzanian Vice President Mohamed Gharib Bilal opened the conference by appealing to other countries for help fighting armed poaching gangs. "Organized and intricate poaching networks in and outside the country sustain this illegal trade, thus making it difficult for Tanzania alone to win this battle," Bilal said, according to Phys.org. The country's recent poaching crackdown was plagued with disturbing incidents of corruption and mismanagement -- so much so that it had to be shut down. But conservationists say that the government has to step up -- before it's too late. "They have to stay in there, protecting our elephants," said TEPS director Alfred Kikot. "They can't just be in there for one operation and then pull out. It needs to be a longer term commitment." The ivory trade drives a brutal campaign of international poaching that killed 22,000 elephants in 2012 alone, despite a global ban on the sale of ivory. Join us in pledging never to buy new or vintage ivory products -- which include narwhal, walrus and hippo ivory -- to help save the world's animals from poaching.